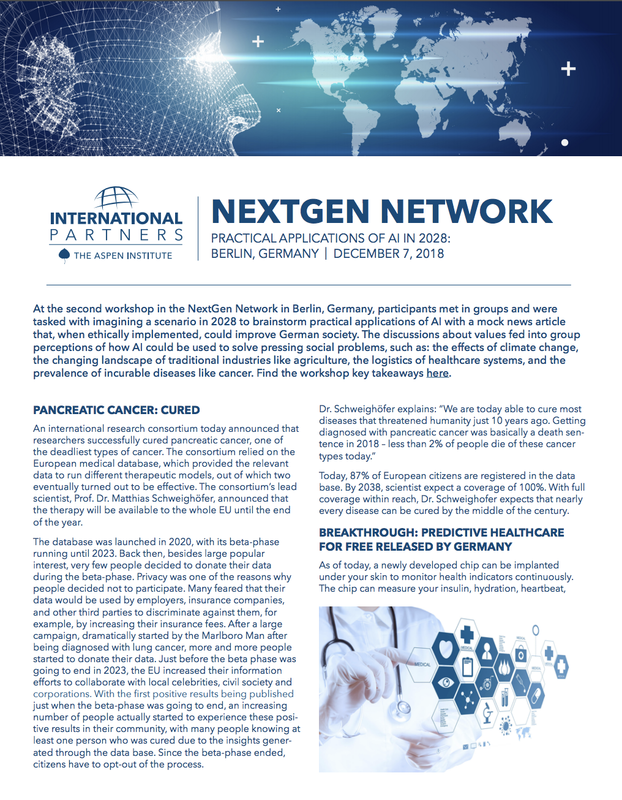 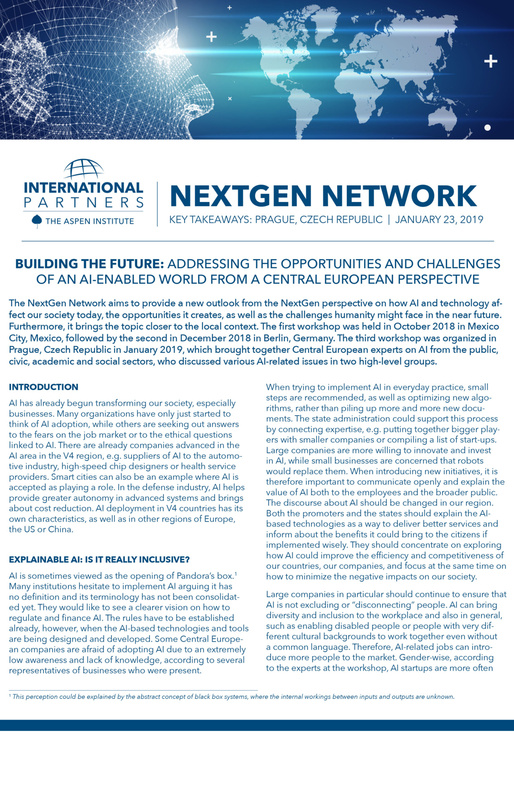 Aspen Central Europe hosted the Network in Prague in January 2019, with participants from Hungary, Poland, Slovakia, and the Czech Republic. 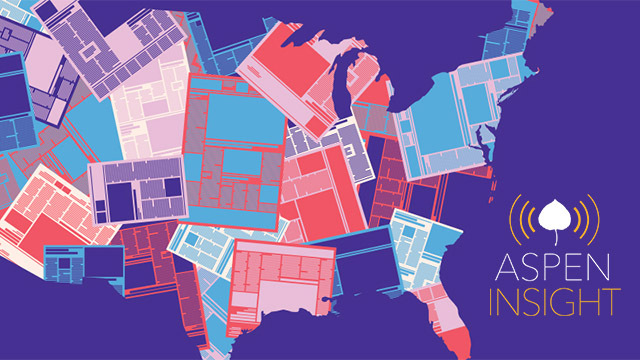 Participants emphasized that there should be a focus on mapping where exactly AI can support existing professions, create new ones, but most importantly streamline the education system towards current trends and lifelong learning. 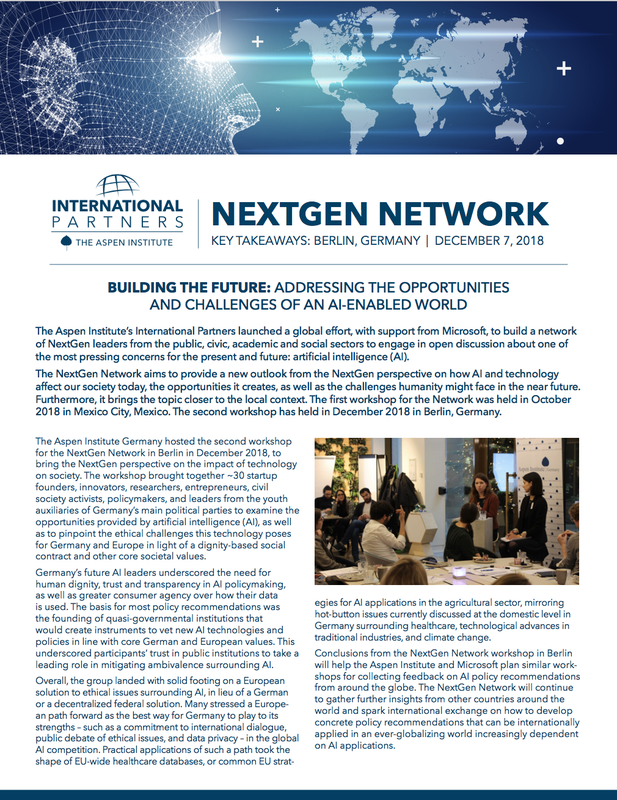 It is essential to speed up the adoption of AI in Europe, as well as connect it with major challenges in society, such as tackling climate change or innovating healthcare, where, for example, AI can be explained by its promoters as a way of delivering better services rather than merely introducing a new technology.